Devoted to fostering research and conference participation for peer writing tutors, the National Conference on Peer Tutoring in Writing (NCPTW) is gearing up for its 2017 conference at Hofstra University. 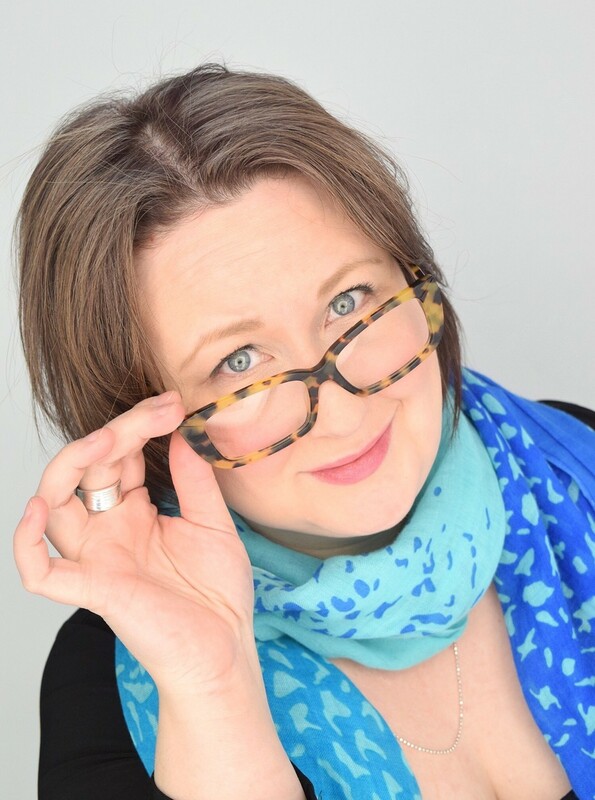 In this post, NCPTW 2017 Chair, Andrea Rosso Efthymiou, interviews this year’s keynote speakers, Lauren Fitzgerald and Melissa Ianetta, co-authors of The Oxford Guide for Writing Tutors (OGWT). 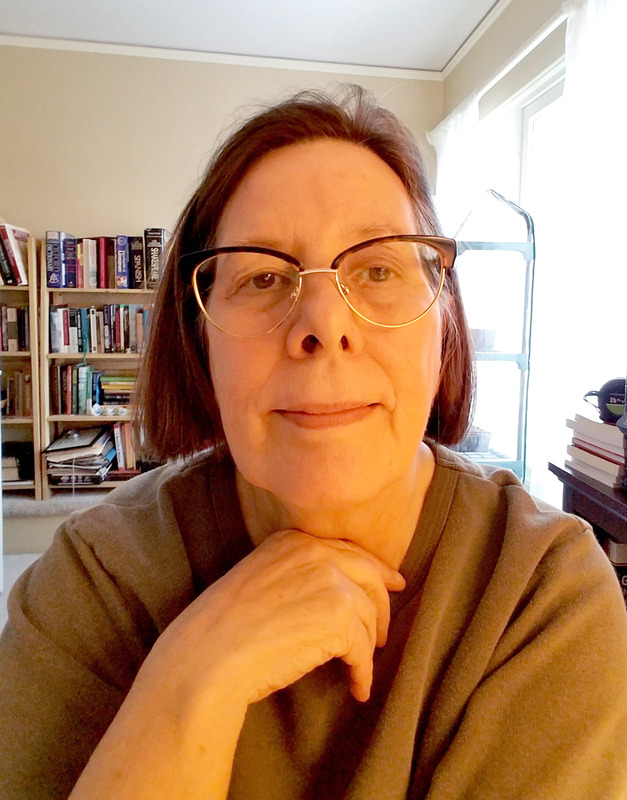 In their interview, Fitzgerald and Ianetta discuss their personal processes as long-time collaborators, the choices they made writing and editing OGWT, and of course, writing center tutoring. Andrea: Can you describe your writing process as co-authors of this book? How did you work together as co-authors? Did you work on separate sections individually or did you actively write each section together? Or was the process altogether different? Actually, we used a range of collaborative and individual composing strategies to write The Oxford Guide for Writing Tutors (OGWT). Our approach depended on the stage in the process and the immediate writing goal. Some of these processes were very organic and highly collaborative – with the controlling concept for the book which we articulated for the prospectus, for instance, we worked intensively together for a couple of days. The process was so natural and so focused that we really don’t know any more who came up with what idea. However, some parts of the process are very individual, so that one of us takes responsibility for a chapter or subsection. We’ll talk through the chapters, then each of us goes away to compose, and we trade drafts. We respond to one another’s work and then the original author responds to the commentary and revision. We’ll then trade again and, at that point, we often have lost track of who wrote what. There was a time, for example, when Melissa praised lavishly a change in a much-revised chapter – she really thought Lauren had taken things in an exciting new direction. And her enthusiasm was only minimally dampened when Lauren told her that the revision was hers –Melissa herself had written the text of which she spoke in such admiring terms. 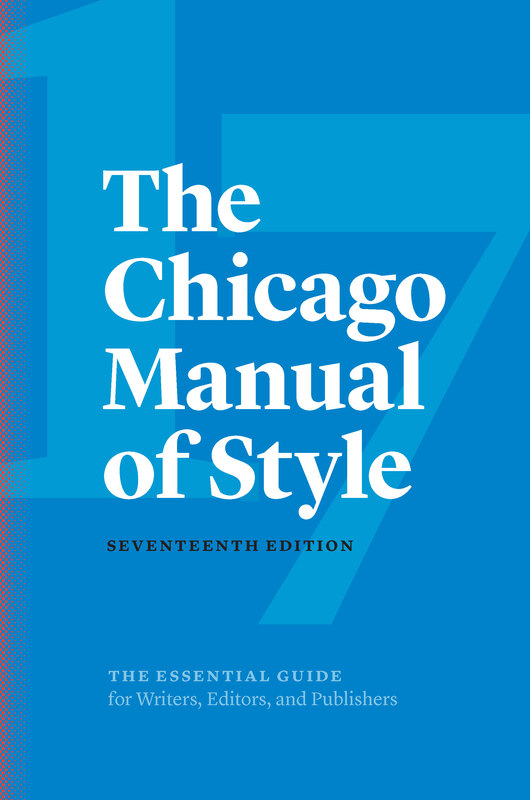 The 17th edition of the Chicago Manual of Style is almost here, incorporating many changes and updates. 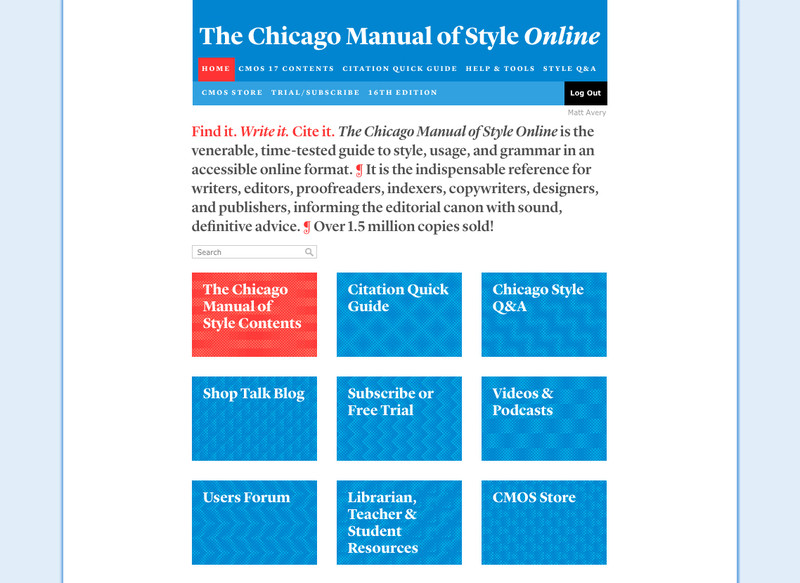 We spoke with Carol Saller, editor of The Chicago Manual of Style Online Q&A and of the CMOS Shop Talk blog, about the new edition. WLN Blog: What is the progenitor of the CMOS changes? 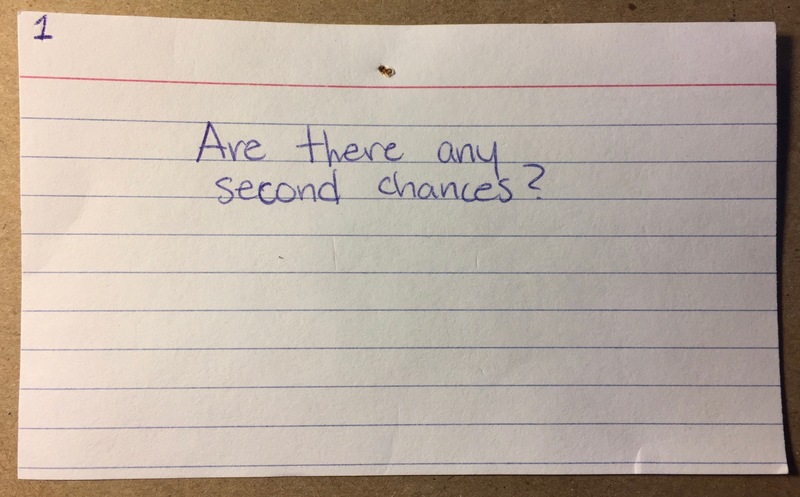 How did they come about? Carol: A new edition of the Manual appears only every five to ten years, so by the time drafting begins, we have a big folder of reader queries, news clippings, feedback from experts, notes from our own daily use of the book and website, and so forth. This time, the revision focused much more on updates and additions than on changes to Chicago style. WLN Blog: What are the major changes to the CMOS? Carol: That depends who you ask. Of course, in a thousand pages, you’re going to find thousands of changes. The general user might think the removal of the hyphen from email and the lowercasing of internet are major changes. Those are certainly the ones getting the most tweets! A scholar might think the most significant change is that after centuries—actually millennia—of usefulness, the Latin term ibid. has become problematic in electronic publications. So Chicago now prefers the use of a shortened citation. An English teacher might find the expansion of the grammar chapter to be the most significant: there are more than thirty new sections on sentence syntax, for instance, and a revision of the Chicago stance on the use of they with a singular antecedent. WLN Blog: As a history major in under grad, ibid. was a word I typed quite often. What happens to poor ibid.? Carol: Don’t worry—Chicago still supports the use of ibid.! The sections explaining its use are still there. It’s just not first choice now. The problem is that in digital publications, when readers click on a note number, often it opens a screen where only that citation appears. If the citation says only “Ibid., 43,” it tells them nothing, because the previous note isn’t visible. Better for the citation to say “Calhoun, Fortress, 43.” Writers who are concerned about publishing in digital formats should know of the potential problem and write their notes with that in mind. WLN Blog: How has electronic media shaped other changes? Carol: Hugely. These days, publishing technology is what drives the need for a new edition. For instance, the increasing use of PDF by writers and editors inspired a new section on how to use PDF editing tools. And social media: the word Twitter doesn’t even appear in the previous edition, which came out in 2010, but now even the most scholarly journals need a citation style for it. Creative Commons, accessibility standards, DOIs, library metadata—I could go on and on. In seven years, a lot has changed! 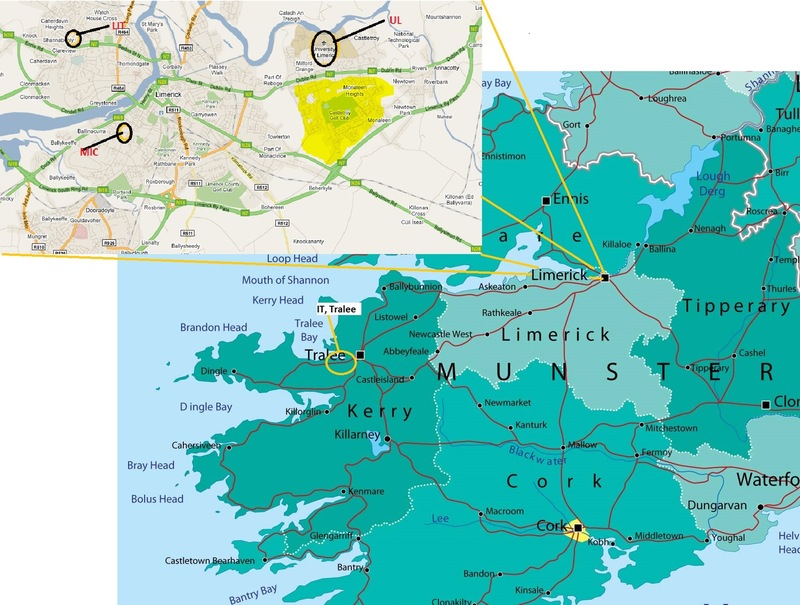 WLN Blog: I was chatting with an English professor and a Medievalist about the changes to CMOS. They were quite intrigued as to how these changes would affect citation and style in their disciplines. Could you comment on how you think that the CMOS changes will affect MLA or APA? How did they affect CMOS change decisions? Carol: While we’re always interested to see what others are doing—such as the radical overhaul MLA made last year—that’s not a big factor in updating our own guidelines. I’d be surprised if MLA or APA made changes in response to Chicago’s. Style manuals serve different constituencies. 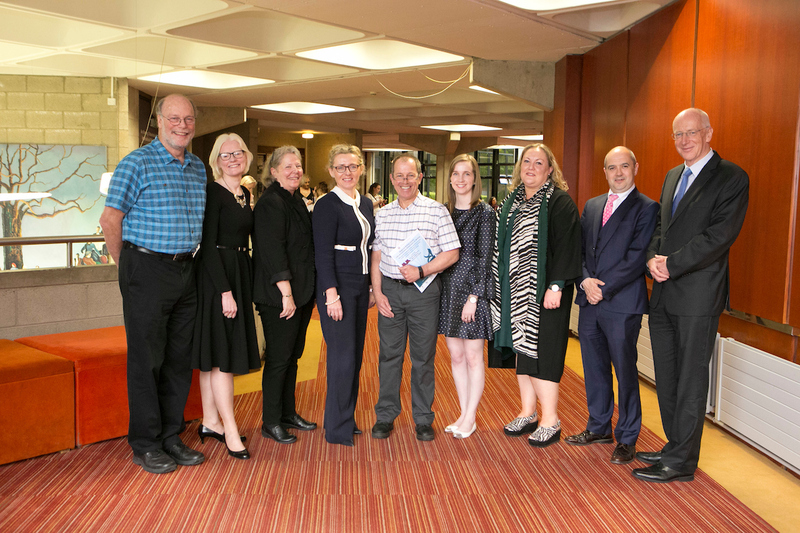 WLN Blog: So many people in writing centres “geeked out” at CMOS’s announcement. It’s so exciting! For those on the edge of the desk chairs, what advice do you have? Carol: First, relax and enjoy it! This revision of the Manual is the best yet, from the viewpoint of users, and the transition will not be difficult. There’s a ton of new information and new examples; we haven’t taken away anything that we know users love; there are no radical changes to citation styles; and the chapter numbers remain the same (people hate it when we reorganize the chapters). What’s more, CMOS Online has a snazzy new design that responds to many user requests for easier navigation and increased readability. Second, I’d suggest following us online, especially at the CMOS Shop Talk blog, where we’ve been highlighting what’s new. The Canadian Writing Centres Association (CWCA) hosts its fifth annual conference at the Ontario College of Art and Design (OCAD) in Toronto, Ontario on May 25th and 26th, 2017. CWCA represents members of writing centres, broadly defined, in colleges, universities, and institutions of all sizes across Canada. 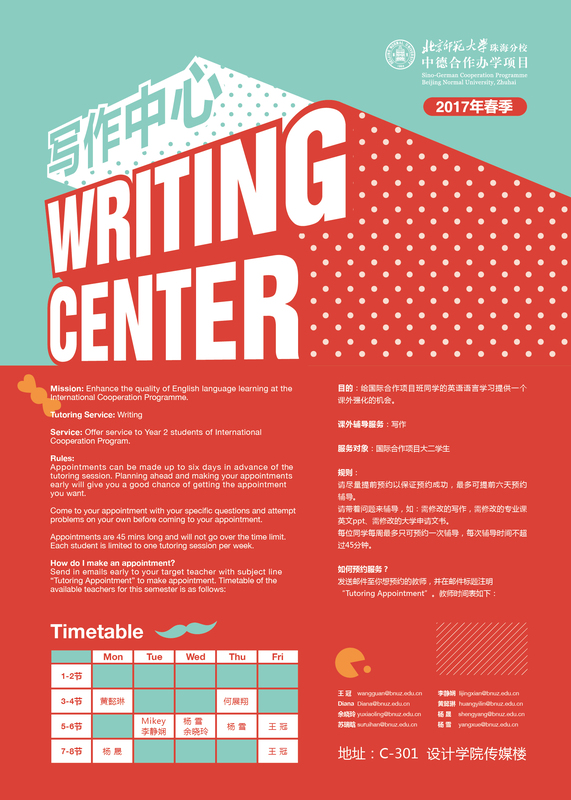 It is an affiliate member of the International Writing Centres Association (IWCA). Clare Bermingham is the Director of the Writing and Communication Centre at the University of Waterloo and is Secretary of CWCA. 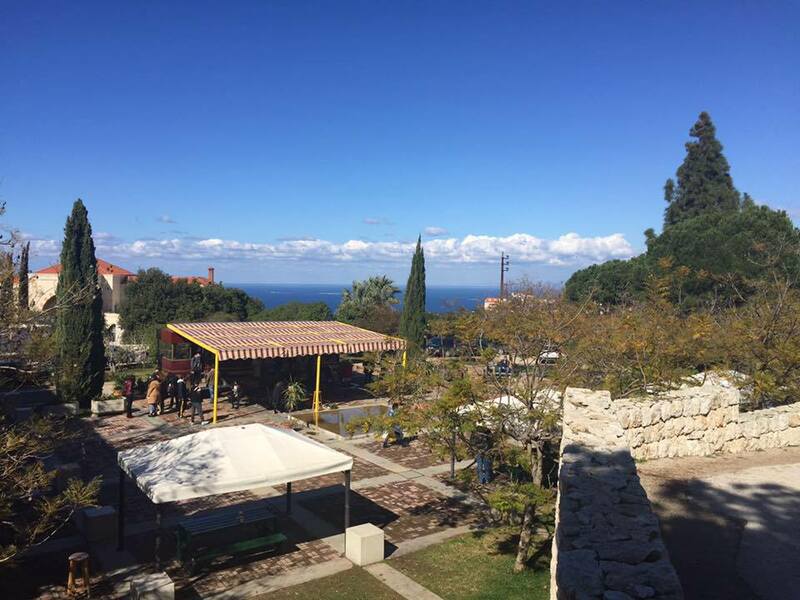 WLN Blog: The theme of this year’s CWCA conference is From Far and Wide: Imagining the Futures of Writing Centres. In developing this theme, what were you hoping for? Clare: “From Far and Wide” is a phrase pulled from the Canadian national anthem, and it’s connected to the 150th anniversary of the formation of Canada as a political nation. However, rather than simply and uncomplicatedly celebrating this milestone, our theme seeks to recognize the complex, often difficult, history of Canada, which plays out in our institutions today and feeds into the questions that writing centres ask about language and writing. We want to challenge ourselves to take note of this history as we turn and look ahead to what’s next for writing centres. We want to know how our community is engaging in work that is inclusive and equitable. 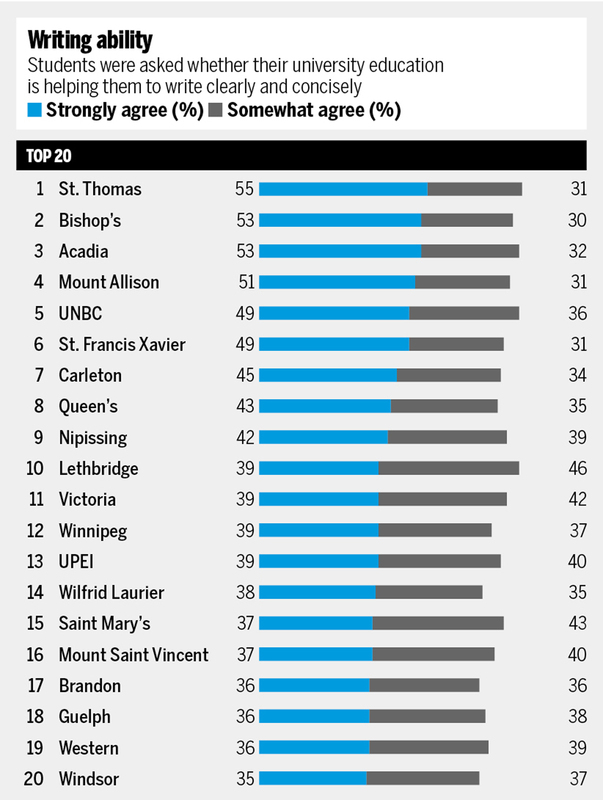 How are we working with both Indigenous and international student populations? How are we responding to questions about power and language in training, in theory, and in our daily practice? In what ways are we opening our centres up to be places of real diversity and inclusion in our respective institutions? WLN Blog: The keynote, Dr. Frankie Condon, has written a great deal on racism and rhetoric. How does her keynote fit into this year’s conference? Clare: Dr. Condon’s work challenges us to think more deeply about how we do the work we do. It moves us to face issues of inequity and bias head on, but to do so with generosity and care. Frankie’s work, for me, is a generous conversation that’s grounded in the assumption that we want to act in good faith, that we’re taking these issues seriously, and that we acknowledge the potential harm of not listening to each other, especially to the marginalized voices in our communities. Her work is personal and reflective, and she is always equally responsible for the work she calls others to do. The Writing Center at the University of Washington Tacoma received attention in February after a press release about their social justice and antiracism statement was featured on UW Tacoma’s news and communications page. Following the article, several far-right blogs misrepresented the statement to suggest that UW Tacoma’s writing center director, Asao B. Inoue, had claimed that dominant English grammar is racist. (1) Below is our email interview with Asao about the creation of the writing center’s antiracism statement. WLN: First, can you tell us a little about yourself, your writing center, and your staff? 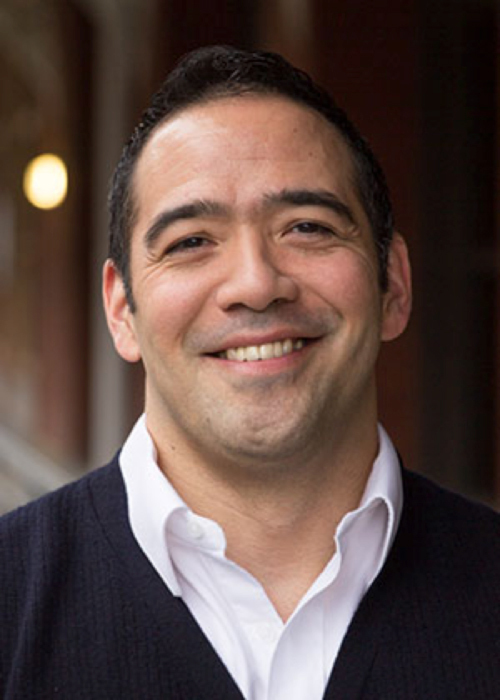 Asao: I’m the Director of University Writing and the Writing Center at the University of Washington Tacoma. 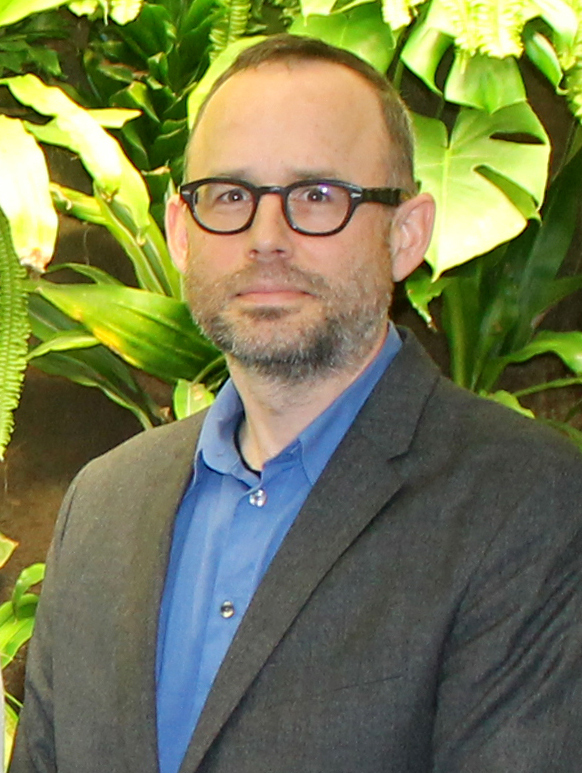 I am an Associate Professor of Interdisciplinary Arts and Sciences, and I was just promoted to Full Professor, as of September. I am also the Assistant Chair of CCCCs and so am the Program Chair for 4C18 in Kansas City next March. My research is in writing assessment and racism. I’ve published on validity theory, classroom assessment, writing program assessment, and composition pedagogy. Most of my work deals with ways to consider race, racial formations, whiteness, and antiracism as a practice in writing assessment. My work has won three national awards, two outstanding book awards, and an outstanding scholarship award from CWPA. Our writing center is lucky to have four professional staff members, all of whom work full time (except one, out of choice), and full time administrative support. 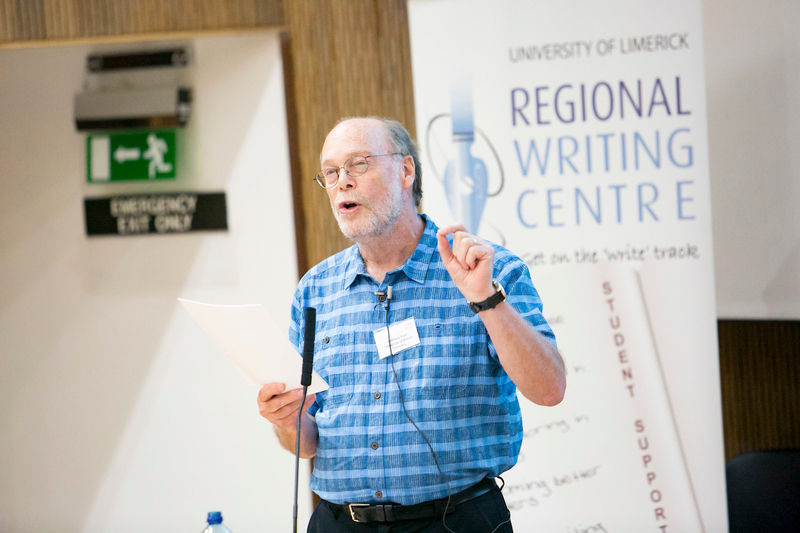 We also have fourteen student writing consultants (tutors), with majors from Communications to Philosophy to Environmental Science to Psychology. The center is centrally located on the second floor of the library. We conduct face-to-face and online sessions. WLN: Can you describe the composing process and timeline for the statement? To what degree was your staff involved? Asao: During our staff meetings in the winter and spring of 2015, we read some literature on racism and language, including some in writing center studies, and discussed them. During the process, student tutors and professional staff decided to build a statement with my urging. We used a Google Doc so that we could continue our work outside of the confines of the staff meetings, and so that others who couldn’t make a meeting could still participate. I shaped a lot of things in the statement early on, then let everyone else craft and revise the statement. We went through several iterations of the statement. I suggested that we think of the statement as a living document, one we would come back to periodically to refresh ourselves of our understandings of our position on antiracism and what we promise to do about it. This periodical looking back also means the statement may change as we change and as we try things.